Woo Pass: Double Woo Points! 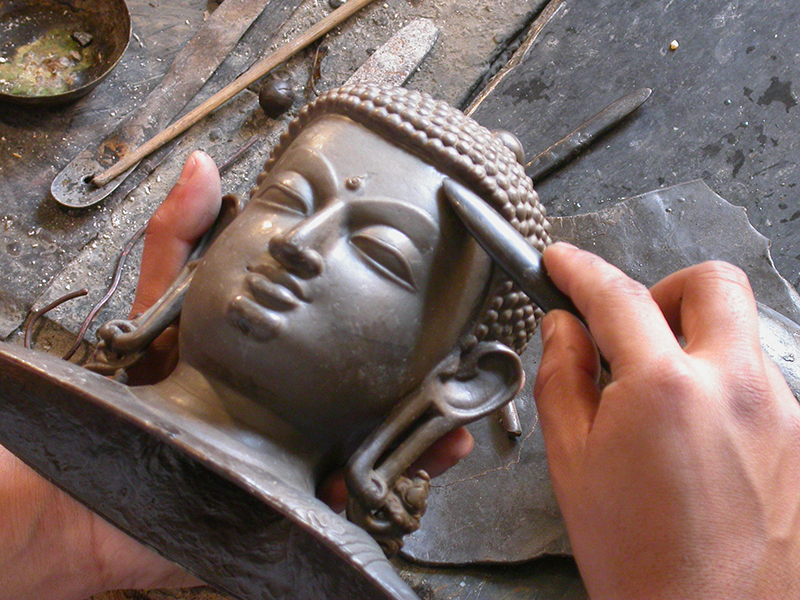 Curator James A. Giambrone will give a lecture "Metamorphosis: Sheet Metal to Sacred Image in Nepal" in conjunction with the exhibition "The Newar Craftsmen of Kathmandu Valley: Objects of Devotion from Nepal". Giambrone, an independent scholar and long-time resident of Kathmandu, has studied the repouseé metal work, lost wax castings, wood carvings, and paintings created by the Newar craftsmen of that region for many years. As contemporary artisans using traditional techniques that have been in existence for thousands of years, the Newar make objects of both Hindu and Buddhist devotion. This exhibition, curated by Giambrone, illustrates the step-by-step process that results in the creation of devotional master works.